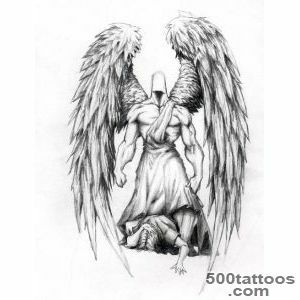 The word angel is composed of two parts : the arch, which means "big " and the angel - "messenger". 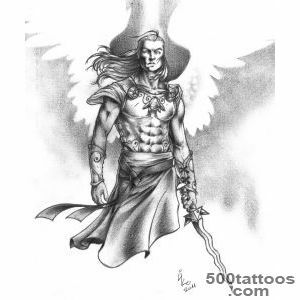 In the classical Bible describes only one archangel - Michael, one of the most respected biblical characters. 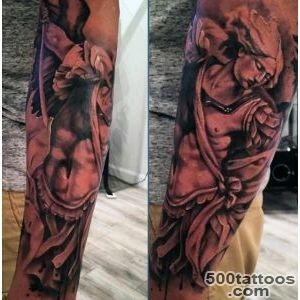 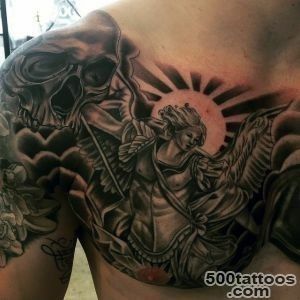 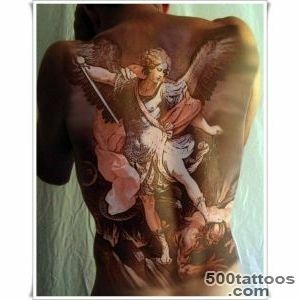 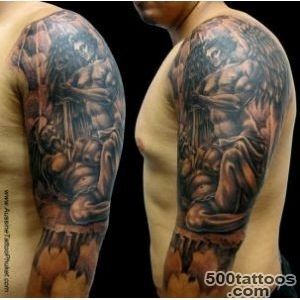 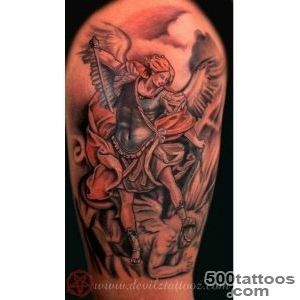 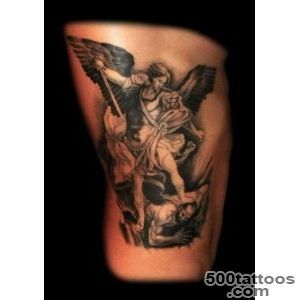 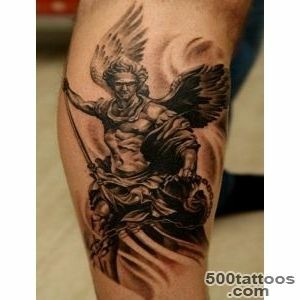 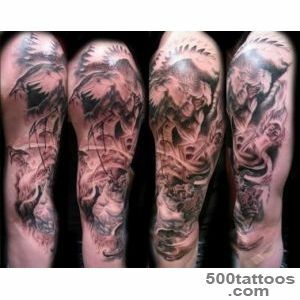 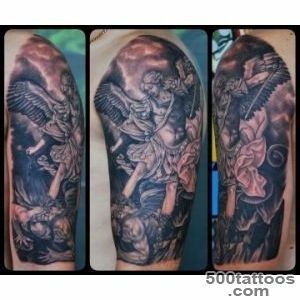 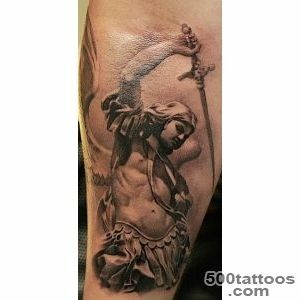 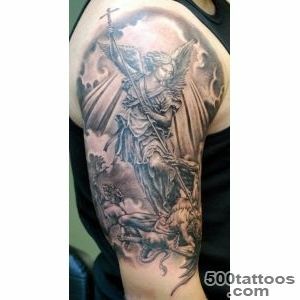 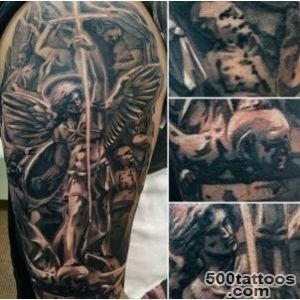 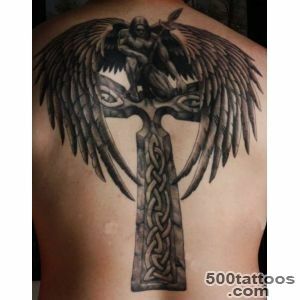 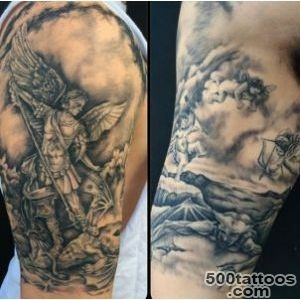 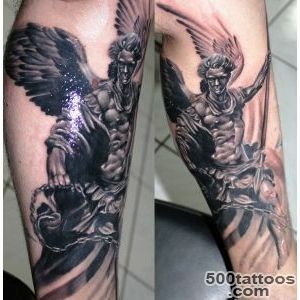 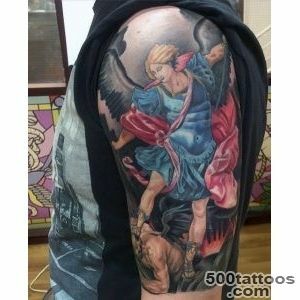 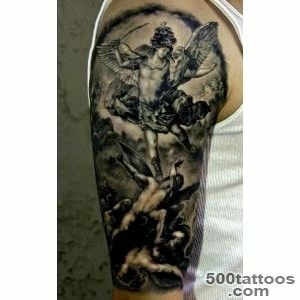 By the way, the tattoo with the image of the Archangel Michael, and gives rise to this area in the tattoo. 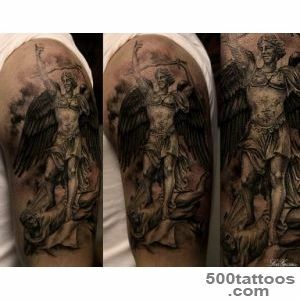 Nevertheless,in church tradition dating back several divine figures that rank. 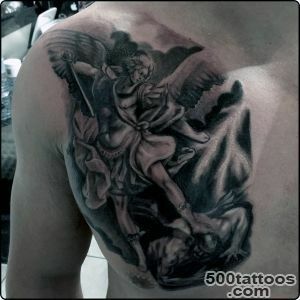 It is difficult to assume that the owner of such images on the body assumes the highest angelic rank. 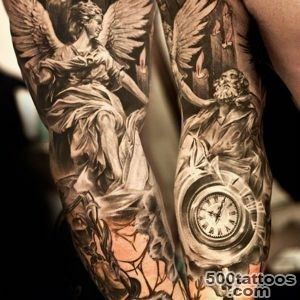 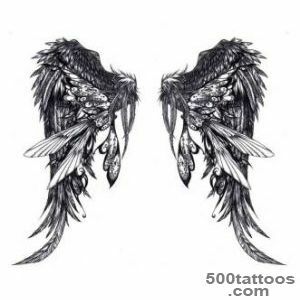 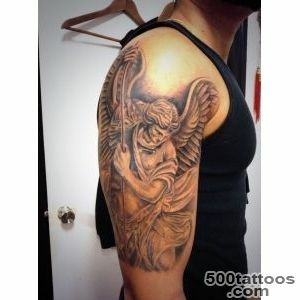 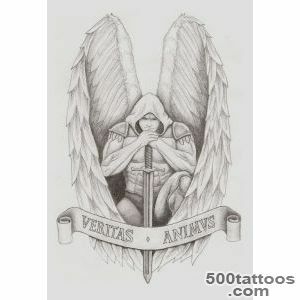 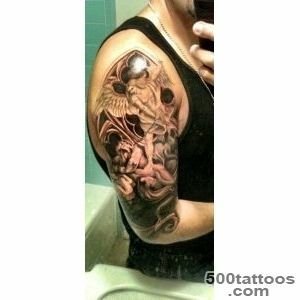 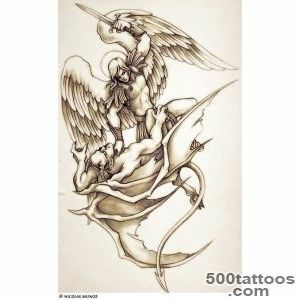 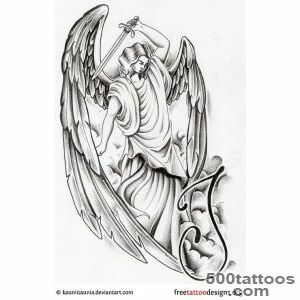 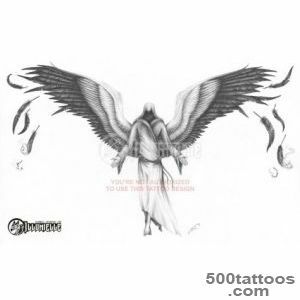 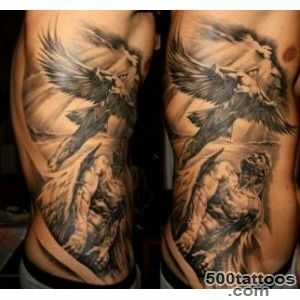 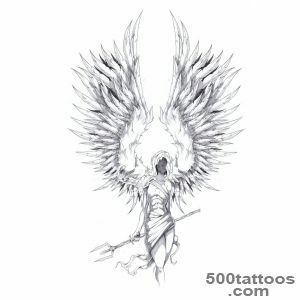 This picture on the body rather similar within the meaning of the angel tattoo. 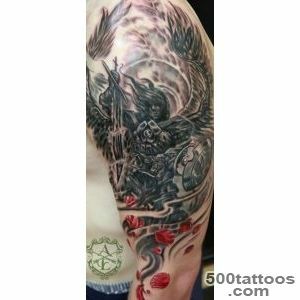 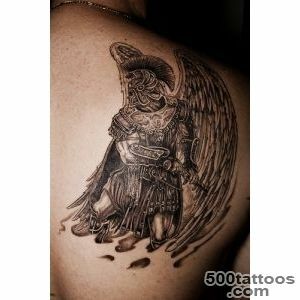 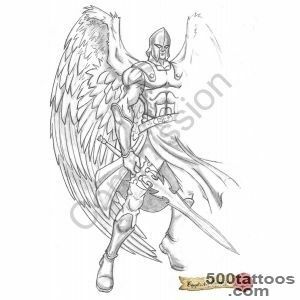 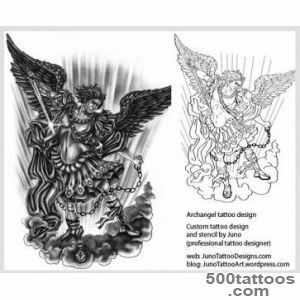 Meaning tattoo archangel can be interpreted as a warrior - defender, Justicar. 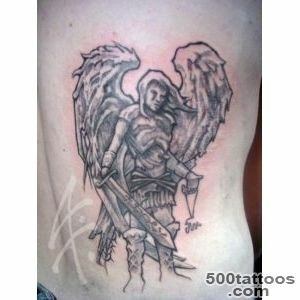 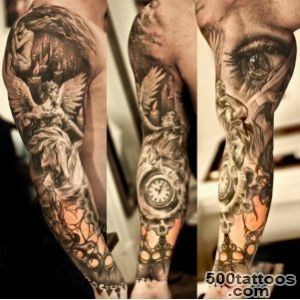 Although,as in the case with an angel tattooed can not have any special meaning, but serve only for decoration. 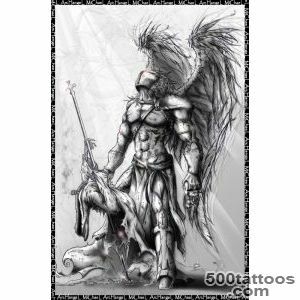 For drawings of archangels, come down to our time, look incredibly beautiful and aesthetically pleasing, which is why different stories with their participation involve ordinary lovers of tattoo art.With high-quality work of the master image of angelic beings almost always look majestic, graceful. 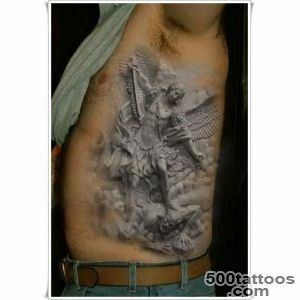 This tattoo can be performed in a variety of styles. 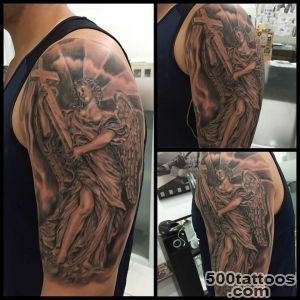 Given that traditionally in the biblical books, frescoes and icons of the Archangel is depicted with a predominance of white shades,angel tattoo can be done using a special white paint. 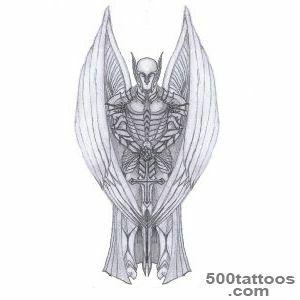 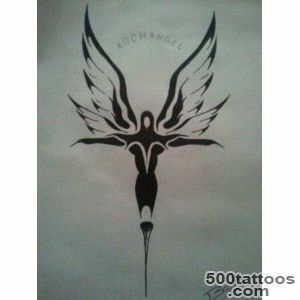 In support - a few photos and sketches of the archangel tattoos. 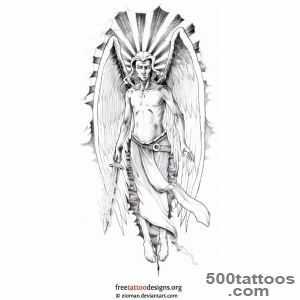 Divine your tattoo !